Update on Fakegate – what we know so far | Watts Up With That? On February 14, 2012, an environmental activist named Peter Gleick sent to liberal activists and sympathetic journalists several documents he stole from The Heartland Institute, along with a fake memo he claimed was also from Heartland. On February 20, Gleick confessed to stealing the documents but claimed to have received the fake memo “in the mail” from an anonymous source. The fake memo, titled “January 2012 Confidential Memo: 2012 Heartland Climate Strategy,” is a mixture of text copied and pasted from the stolen documents and original commentary by the forger. By distorting and misrepresenting the plans set forth in the stolen documents, the fake memo paints a false and disturbing picture of Heartland’s motives and tactics. 2. What did the stolen documents reveal? The budget document revealed that Heartland has a broad base of support – about 1,800 donors – and expects to raise about $7.7 million in 2012. It presents confidential personnel information including reasons for termination of former employees and salaries. It also lists scientists we work with to produce Climate Change Reconsidered, a series of reports presenting an alternative perspective to the United Nations’ IPCC reports. Another stolen document reveals contact information for members of Heartland’s Board of Directors, including home addresses for some Directors. Three things the stolen documents do not reveal are substantial funding from the fossil fuel industry for our work on climate change, substantial funding from David or Charles Koch or Koch Industries, and anything other than a sincere and professional effort to advance the organization’s tax-exempt mission. 3. How do you know the “climate strategy” memo is fake? The memo contains numerous errors of fact and interpretation that no one at Heartland would have made. Significantly, every error in the fake memo has the effect of casting Heartland’s fundraising and education efforts in a negative light. Juola & Associates, the country’s leading provider of expert analysis and testimony in the field of text and authorship, studied the document and concluded Gleick is the most likely author. So have many other independent scholars. The memo references only the documents that were stolen by Gleick. Except for Board members, no one except Gleick had access to all of the documents cited in the memo. 4. What does the fake “climate strategy” memo say? The Charles G. Koch Foundation does not fund our climate change efforts and did not contribute $200,000 to us in 2011. The foundation has issued a statement confirming that its 2011 gift of $25,000 – its first to Heartland in ten years – was earmarked for our work on health care reform, not climate. “[D]issuading teachers from teaching science” is not and never has been our goal. As the “Fundraising Plan” clearly states, we are working with a highly qualified and respected expert to create educational material on global warming suitable for K_12 students that isn’t alarmist or overtly political. We don’t believe this should be controversial. We do not seek to “undermine the official United Nation’s [sic] IPCC reports.” We have openly and repeatedly shown that the Intergovernmental Panel on Climate Change’s reports are not peer reviewed in any meaningful sense, exaggerate the certainty of scientific understanding and forecasting abilities, and are written and promoted to serve political rather than scientific objectives. We have produced two highly regarded volumes of scientific research, part of a series titled Climate Change Reconsidered, showing how peer_reviewed science rebuts many of the IPCC’s claims. We do not pay scientists or their organizations to “counter” anyone else in the international debate over climate change. We pay them to help write the Climate Change Reconsidered reports, in the same way as any other “think tank” or scientific organization pays the authors of its publications. We do not try to “keep opposing voices out” of forums, such as Forbes.com, where climate policy has been debated. The truth is just the opposite: We send Heartland spokespersons to debate other experts at fora all across the country and invite persons who disagree with us to speak at our own events. In fact, we invited Peter Gleick to debate a Heartland expert on climate change at our upcoming annual benefit dinner and he turned us down. 5. How does Fakegate compare with Climategate? Fakegate invites comparison with Climategate, the unauthorized release of emails from the University of East Anglia in 2009 and again in 2011. Both scandals reveal how desperate and delusional the leading figures in the global warming movement are. If you are confident that you are right, you don’t steal documents and try to undermine other organizations. The Climategate documents show a pattern of misbehavior – trying to suppress debate, destroying data, fudging research findings – while the documents stolen from Heartland actually vindicate the organization from claims that it is a “front group” for the fossil fuel industry. None of the Climategate documents was fake. One of the Fakegate documents was. The documents in the Climategate scandal were leaked, not stolen: apparently no crime was committed. Our documents were clearly stolen, and the culprit, Peter Gleick, has confessed. The Climategate documents were apparently being stored to respond to FOIA requests that the University of East Anglia had been stonewalling. The university is a government agency and subject to FOIA; The Heartland Institute is a private nonprofit organization, and is not. So where Climategate and Fakegate are similar, they reveal the dishonesty and basic moral corruption of the global warming movement. Where they differ, they justify The Heartland Institute taking legal action against Peter Gleick and his co-conspirators. 6. Where does Fakegate stand today? Environmental groups are using false statements contained in the fake memo and the list of donors in the stolen fundraising document to demand that our corporate donors stop funding us. Since many of our donors give to support our work on topics other than climate change – school reform, health care policy, insurance regulation, and others – they should not be exposed to this kind of harassment. Similarly, Greenpeace is using the fake memo and the list of scientists in the stolen budget document to demand that universities discipline or fire the climate scientists who work with Heartland. This is an outrageous attack on free and open debate, yet it is being cheered on by many reporters and other environmental activists. Environmental groups and their allies in the mainstream media still refuse to remove the stolen and fake documents from their Web sites or to issue retractions of editorials and news stories that assumed the authenticity of the fake memo, despite our repeated requests that they do so. This is a clear violation of journalistic ethics. 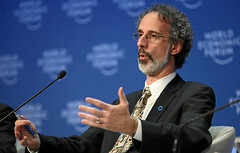 The Heartland Institute has assembled a top-notch legal team and is asking the government to pursue criminal charges against Peter Gleick and his accomplices, as well as preparing to file civil suits against Gleick and his accomplices on behalf of Heartland and the scientists who have come under attack because of his actions. 7. What is The Heartland Institute? The Heartland Institute is a national, nonprofit, nonpartisan research organization with offices in Chicago and Washington, DC. The Heartland Institute was founded in 1984. Its mission is to discover, develop, and promote free-market solutions to social and economic problems. State and local elected officials nationwide are our primary audiences. We are in frequent contact with some 7,300 state elected officials and more than 8,400 county and local officials. We produce publications that actually get read by elected officials. Six monthly public policy newspapers – Budget & Tax News, Environment & Climate News, FIRE Policy News, Health Care News, InfoTech & Telecom News, and School Reform News – present free-market ideas as news rather than research or opinion. We promote the best work of other free-market think tanks on our Web sites, in our newspapers, at our events, and through our extensive government relations and media relations efforts. Expertise: Approximately 140 academics and professional economists participate in Heartland’s peer review process as policy advisors and 213 elected officials serve on its Legislative Forum. Fourteen senior fellows are available to write, speak, or comment in depth on a wide range of policy issues. Media Relations: We send out a constant stream of op-eds, news releases, letters to the editor, podcasts, and much more. In 2011, we contacted journalists more than 410,484 times and appeared in print and on television or radio 1,093 times. Online: We are leaders in online communication and grassroots organizing, generating nearly 2 million page views and 1.3 million visitors on 16 Web sites and blogs in 2011. Our Facebook page has more than 52,000 fans, and registers approximately 75,000 impressions every week. Credibility and Influence: Our 28 years producing solid research and educational materials and repeated communications with state legislators have made Heartland a credible, independent, “go-to” source for thousands of elected officials and other opinion leaders. A 2011 survey by Victory Enterprises of 500 randomly selected public officials found 79 percent of state legislators and 66 percent of local elected officials read at least one of our publications, and almost half of state legislators say a Heartland publication changed their mind or led to a change in public policy. Bipartisan: The Heartland Institute’s influence is not limited to a single political party. The Victory Enterprises survey showed strong across-the-aisle appeal as well. Approximately 73 percent of state Democratic legislators said they read at least one Heartland publication sometimes or always, 64 percent of these legislators said they consider one or more publications a useful source of information, and 38 percent said a Heartland publication influenced their opinions or led to a change in public policy. Besides its monthly public policy newspapers, Heartland publishes books, policy studies, booklets, and other publications and produces videos, podcasts, and other online features. Heartland’s 13_member Board of Directors is chaired by Dr. Herbert Walberg, a senior fellow at the Hoover Institution and research professor emeritus of psychology and education at the University of Illinois at Chicago. Heartland’s 2012 annual budget is $7.0 million. It has a full-time staff of 41. Funds come from approximately 1,800 individuals, corporations, and foundations. No corporate donor contributes more than 5 percent of Heartland’s annual budget. Contributions are tax-deductible under Section 501(c)(3) of the Internal Revenue Code. 8. What is Heartland’s position on climate change? Heartland’s researchers acknowledge, as do most scientists, that the Earth experienced a rise in temperatures during the second half of the twentieth century, that human activities may have played a role in that increase, and that carbon dioxide is a greenhouse gas. Heartland disagrees with three claims made by many environmental groups: That most of the warming of the twentieth century can be attributed to anthropogenic causes, that computer models are sufficiently reliable to forecast future climate conditions, and that a continued moderate warming would be harmful to humanity or the natural world. Heartland’s position is supported by many of the world’s leading climate scientists, and many (possibly most) scientists in the United States. We are not “on the fringe” or “anti-climate science.” We are expressing a perspective that is very mainstream, even if it is not what liberal environmentalists and reporters believe. 9. What is Heartland doing on climate change? We produce more research and commentary on climate change than any other free-market think tank in the world. We have distributed millions of books, booklets, videos, and other educational products to opinion leaders in the U.S., Canada, Australia, Britain, and other parts of the world. We report on the climate change debate every month in Environment & Climate News, a publication sent to every national, state, and most local elected officials in the U.S. We fund the writing and publication of the reports of the Nongovernmental International Panel on Climate Change (NIPCC), including two volumes in a series titled Climate Change Reconsidered totaling more than 1,200 pages and citing thousands of peer-reviewed scientific articles. We have hosted six International Conferences on Climate Change (ICCC), attracting nearly 3,000 scientists, policy experts, and policymakers from around the world. We plan at least one and possibly two ICCCs in 2012. During 2012, we plan to undertake nearly a dozen projects specifically addressing climate change. An updated proposal is available to donors and potential donors. For more information about Fakegate, please visit www.fakegate.org or call Jim Lakely, communications director, at 312/377-4000. For more information about The Heartland Institute, please visit www.heartland.org or call Gwen Carver, membership manager, or Rachel Rivest Dunbar, corporate relations manager, at 312/377-4000. Contributions to The Heartland Institute are tax exempt under Section 501(c)(3) of the IRC. Please send your gift to The Heartland Institute, One South Wacker Drive #2740, Chicago, IL 60606. So what is the likelihood that charges will be laid or civil action being taken against Gleick in the near future? Sue or lose all credibility. The warmists continue to drown out Heartland’s statements on this matter. Glieck specifically should be sued, and those repeating the comments in the false memo should be sued if they do not withdraw their accusations. A court looks likely to be the place where the fake document gets officially recognized as such. If so, do the retractions have to be obvious, or do the Greens who still use it as ammunition have the option of being silent on the subject, leaving it to their followers to believe it or not as is useful? most importantly the fake memo positioned the battlefield. it positioned gleick as an enemy and revkin and curry as friends. for believers this means gleick is positoned as a leader and revkin amd curry are foes. that is the key i used to finger gleick. When is the Gleick going to be brought to justice? Is there any indication that either federal or CA law enforcement authorities are investigating the apparent criminal aspects of Fakegate? If so, I hope to read a post on this website with the details of investigations. Thanks, so glad to have this update! I am circulating it….. I encourage others to do the same. I once worked for a company that was sued in a civil case and found guilty of non-criminal hacking into a competitor’s site. Guilty probably isn’t the correct word, as it was a civil case, but still, the court established that the hacking took place and found them liable for the damage. If Glieck is not charged with a crime, he’s still liable. The burden of proof is higher in a criminal case, so a civil suit may be easier for Heartland to prove. I’m guessing at tactics here (not a lawyer), but pressumably it’s easier to pursue civil proceedings off the back of Federal action – these guys are being investigated, court order to have offending material removed from internet in the meantime would seem a no brainer, if found guilty, likewise a suit for damages. Unlikely anything will happen on the civil side until the federal route has been exhausted. Others probably have a better perspective on this than I, but I think it does make some sense. What is really telling is the support for Gleick’s phishing action from the warmist camp. If it’s OK to break the law in support of The Cause, the implication is that it’s also OK to fudge the data in support of The Cause. Good to see the “may” in “human activities may have played a role in that increase” . Waiting for evidence I suppose ? I feel Heartland gets very poor press and paints a target on its chest, because of its stand on smoking. For me, a smoker impinges on my right to breath clean air. Why does Heartland take such a strong stand on smokers’ rights ? Who wrote this piece? It’s “posted by ” Anthony Watts but reads like it was written by Heartland. Why isn’t it signed clearly? What is the repetitive misuse of the word stolen supposed to mean? I’ve constantly attacked the Guardian on other for constantly and incorrectly referring to climategate emails as stolen, and I don’t this it is any more acceptable whoever says it. Let me explain: stealing something mean depriving the rightful owner, it is a criminal offence in most countries. It does not mean making an unauthorised copy of a document, which is little more than copyright infringement and a civil matter, not criminal. This actually plays down the REAL criminal act in this case which was (allegedly) fraud, wire fraud more precisely. This is far more serious than “theft” so why inaccurately talk about “stolen” documents that were not stolen when you should be talking about fraud? Rather than just reiterating what most people know already, why not make a statement about what action is being taken against Glieck. That is what everyone wants to know. I think H.I. were wronged in this affair and I think Glieck should be grilled by the FBI. I doubt he would hold out long. So why is noting happening and why is Heartland not suing. That’s the statement that is required. The rest is just hot air and old news. You’re flogging a dead donkey at this stage unless you sue. Heartland have already lost one documented non-climate funder – GM. Thanks to quotes from the fake memo. And we know about “investigations” and other harassment being directed at scientists who have worked with them, for no other reason than they have worked with them. Outside the climate bubble, the MSM stopped reporting after Gleick confessed to theft of the documents, and never reported on the fake document. And the warmists are continuing to use the fake and stolen documents as a stick to beat Heartland with, as noted in my first paragraph. We all know they are just going to work through Heartland’s funders, consultants, etc., one by one, to maximize the damage. I find it sickening that Gleick can get away with this – and indeed is being fated as a hero. He’s back campaigning on climate change & water – see his twitter feed. And has been invited to speak at Oxford University in the UK on April 24th. Heartland issuing press releases is all very well, but it makes no real difference. Yes, Heartland have no direct control over whether criminal charges are filed against Gleick, but they do have control over whether a civil suit is pursued. If they are not going to pursue a civil suit, depressing as it is, then frankly I think they’ve already lost. The only positive, I’m taking from this is the reference to the work of Protek International – which maybe suggests civil action may be possible after all. I’m hoping. Should Heartland fail to pursue Gleick in this matter, if possible his accomplices in forgery, fraud, identity theft, malicious misrepresentation of material fact, his Green Gang of klimat kooks will continue to scurrilously attack anyone attempting to screw tight their cookie jars. Countering such pathology is not a matter of rational debate. Until Gleick and his exemplars face real consequences, including fines and jail time, they will go their simpering ways without a grain of conscience. I will link his on FB in the hopes that people who need to read it will read it. It’s really hard to step out of the echo chamber, however, so I’m not all that optimistic. My experience has been that things like his promote little or no debate from those who might disagree–they seem to dismiss it without any consideration at all, let alone serious consideration. The shattering of illusions is always fraught with uncomfortable self-reflection, so best to refrain from it altogether. Thanks for this. Gleick is still maintaining he didn’t create the fake memo. He is a liar, and should now be officially deemed by the justice system to be a criminal. Their stance is on passive smoking. Read http://www.davehitt.com/the facts. Here’s to hoping that Heartland takes legal action against any site that attempts to pass of the forged document as being accurate. To me the message is clear, and is the one I hoped to hear. Heartland are taking appropriate legal action. I must have just scanned it as Background Fakegate Heartland . It seems to be some press release or something. In any case, it’s staring to sound like their spinning this out beyond it’s sell by date. Glieck affair is history… unless someone sues or he is charges. What right to breath clean air? Are you also attacking anyone who drives a car, every power plant in the country? As to second hand smoke, there isn’t a single, scientifically valid study that indicates that it does you any harm. Do you believe that you have the right to ban everything that you find offensive? Does anyone else, or is the right limited to you? I’m no legal expert, but Heartland’s loss of G.M. as a funder is clear evidence of damage caused by Gleick and the fake memo. This could be helpful to Heartlands legal case(s) – which they clearly intend to pursue. I like the definition of “Nannies”, from A Lovell’s link. This is an understated but exceptionally important point. The members of the Team – in whatever they do or say should at best be considered equivocators – they should never be believed without independent evidence (that of course cannot come from another member of ‘the Team’). This caution should extend to all papers written by them unless it is shown that reviews were carried out by non-Team members and correctly adjudicated by a non-Team editor/publisher. Everything else is just too unreliable. Unfortunately, the Team’s success in both standing – they won a team Nobel Prize! – and in funding, and remunerations have demonstrated to all, especially other scientists that ‘post normal science’ (faking) and unfalsifiable hypotheses are the way to go. It is now apparent in many areas of research. If comments to blogs and newsfeeds are to be believed, there is now an increasing mistrust by the public in all science. If the scientific establishment does not put its house in order then scientists will be put into the same category as politicians, several places below used car and snake-oil salesmen. Once lost the public trust may be almost impossible to recover. This is the reason that it is essential that Heartland take Gleik to court and win. If not science will be the loser. And Greenpeace is a paid off hooligan who does nothing unless it pays and only to counter others. The EU commission pays Greenpeace to do their propaganda-magic and violence aka “civil disobedience” as counter action. Greenpeace went hand in hand with BP’s own NGO for BP’s interests even. “They” will do anything to try and counter, and that’s their demize, by treating people like morons. Maybe people where morons in the late 1930’s in central Europe but people today are, if not educated, well informed and nobody’s fool. Rules for Radicals. Need I say more. When someone runs over you with their car, you have medical bills and lost wages – i.e., easily documentable losses you have suffered as a direct result of the driver’s negligence. When someone defames you and causes you to lose your job, you have future lost earnings to present as damages. Damages in this case are going to be a great deal harder to prove up. If a donor decides to stop giving you money, that amount might be provable, but you would need to show that the decision was a direct result of the defamation. If GM will testify that it was Gleich’s documents that caused the corporate decision to end donations, that would likely work, but is that going to happen? I’d guess not. So, a civil suit is going to be a tough row to hoe. Actually, it does. Courts have determined that data can be stolen; that even though the original data (or document) remains available to the owner, he has been deprived of his private use of it, and that the loss thereof is a “theft.” The distinction between a theft (Glieck) and a leak (Climategate) would seem to be in the relationship of the owner of the subject information and the person who releases it (outsider versus insider), and the means used to obtain it. I for one thought the piece above was very well written and the case solidly made. Whatever the legal situation the HI will need to put a lot of effort in getting the facts out there. And this was a good read. Someone above raised the possibility of suing for fraud. I’m not a lawyer but doesn’t the crime of fraud require a financial gain (or attempted gain) by the fraudster? Gleick has unequivocally stated that the document, which is fake, was sent to him and he then stole an identity in order to steal further information from Heartland. The crux of this aspect is which came first, the fake or the stolen documents. Given the evidence it seems obvious what an impartial court, whether civil or criminal, will conclude. Gleick’s tiny place in history will be as a disgrace to science and an abhorrent and immoral man. Let us get him under oath one way or another. Win/win for us realists. Excellent news! I’m so glad Heartland is pushing forward. They really do have to take it all the way. I know everyone wants instant results, but it takes time for the wheels to turn. ■The memo references only the documents that were stolen by Gleick. Except for Board members, no one except Gleick had access to all of the documents cited in the memo. Columbo would nail it right there! LazyTeenager, no one is claiming there is no such thing as greenhouse gas or that the climate changes. The argument has never been about that. Do a bit of background study and learn where we’re coming from. Can Protek International determine if the document was created on Gleik’s computer? Colour me non-lawyer, but the general view seems to be this will be a civil, not criminal, proceeding. If someone got access to several of my personal documents by false pretenses, released them on the internet, and added a fake one allegedly written by me, I’d feel somewhat let down if the cops left it alone and recommended civil action. Just hoping for a snapshot of Gleick in handcuffs being led to the gallows, I guess. Well you definitely are lazy if you think that the majority of Anthony’s readers hold that view. The reality is that the vast majority of skeptics are perfectly fine with their being warming since the 1850’s, that greenhouse gases exist, and even that some portion of that warming might be attributed to man. Where skeptics differ is that they don’t believe in the supposed mechanism of runaway warming to do feedbacks of the greenhouse gases, They also have sever doubts that the downsides of warming are all that bad and instead believe that the catastrophic claims are unrealistic, and they also believe that man hasn’t been responsible for the majority of the warming in the last 160 years or so. Pretty much sums up my position. So they ask the nanny state to help them. Gleick will be known in history as an Anti-Galileo. He calls himself, or herself, Lazyteenager for a reason. Do not feed the trolls. Perhaps this lazy teenager is a senior NASA or NOAA employee. So Greenpeace et al are going after the Heartland donors named in the pilfered docs? Can’t they be stopped and penalized since it should be clear that these efforts are based on the release of phished information? I do not have high hopes that the current US justice department will allow its prosecutors to side with Heartland. O/T but related to my end point, President Obama voiced some controversial opinions yesterday on the role of the Supreme Court vis a vis his signature legislation (Health Care). Surprisingly a judge of the 5th Circuit Court (for those outside the US the circuit courts are the next highest court just below the Supreme Court) came right back today (hearing another challenge to the HC law) demanding a 3 page, single spaced letter from the Attorney General of the US to the 5th Court explaining what the administration believed to be the authority the judiciary had over the other two branches. This puts the administration on the spot to clearly and legally justify clearly political comments. My point is that the skeptical position is fact based, and would benefit from the scrutiny of a civil legal process (assuming that we can get past the silly roadblocks being thrown in the way of the Virginia Attorney General keeping him from going to court). The challenge is how to get the questions into the judiciary. Only this morning I heard a report on NPR about how the habitat of the Polar Bear is “disintegrating” (that’s a direct quote) because of “global warming” (another direct quote), putting the Polar Bear on the endangered species list. So in order to “save the Polar Bear” all that is necessary is that we do what we have already done, stop shooting them. Note that, the Bald Eagle has been removed from the endangered species list because of population recovery. As of 2006 there were 9,867 mated pairs – x2, that is still less than half the estimated population of Polar Bears (http://www.fws.gov/midwest/eagle/population/chtofprs.html). I leave it to you to locate the numerous links on this site, and others, that refute the claim of a “disintegrating” arctic. So, yes. Even though the “facts” being used are false, even though the source is tainted, all that matters is that they can continue to spout their mantra – over and over and over again. Say it enough times and it becomes “common knowlege” and thus irrefutable. Glieck is [ was IMO ] a scientist – said those things – AND is a self confessed fraud. So the only way this is going to end is when people stop listening, the governments of the world stop listening and their funds run out. Bloody hell, that’s depressing. So Lazyteenager, you do acknowledge that Heartland are a trusted source of scientific opinion? Second-hand cigarette smoke triggers my asthma, probably due to all the chemicals the manufacturers dope the tobacco with. Cigars and tobacco pipe smoke don’t bother me. Of course, I haven’t taken part in a scientifically valid study, so my case doesn’t count. I am only interested in the crimes and if charges have been brought. Who are the prosecutors who have jurisdiction here. This reminds me that I need to send another contribution to Heartland. It is more than that it is the judicial equivalent of a “slap up side the head”, to remind the administration and our “congressional scholar” president that we have 3 co-equal branches of government and that the Judicial branch is explicitly charged with judging the constitutionality of legislation. They have on numerous occasions thrown out legislation some of it popular for failure to meet constitutional requirements. It is also a not so subtle hint that the administration is walking on very thin ice and if they come across as too arrogant and presume to take the judiciary for granted they might get some surprises. Judicial review is well established in the law, and any competent chief executive would know that, and also understand that trying to intimidate the judicial branch could be a very bad decision. I too, must thank A Lovell for the link to the Hittman article on SHS. Anyone who tweets “When Yoko Ono sang it sounded like she was giving birth. Without pain meds. To a very large porcupine. With epilepsy.” is A#1 in my book. Dear mr Watts. I have taken the liberty of copying this entire post on my own blog Monokultur.dk because I think it is an impotant rebuttal of the false claims about Heartland Institute – claims that also have reached some danish papers. Things should be set straight. I hope that is OK. If its not, just send me an email. And thanks for a good job and one of my favorite blogs. I did not know that fora was the plural of forum. Thanks for the tip! The difference between fair debate and advocacy is always clear during a live meeting: when one asks a question that unsettles the speaker, if a bunch of audience members go at you suggesting you’re imposing your values upon the assembly, then you know this whole meeting was a masquerade and that your opinion was neither sought nor welcome. Yes sir, you are correct, everyone who dares confront lies with truth becomes a target for the liars, while those who dare not become instant victims. Which, sir, are you? If you look up “forum” in a current dictionary, you will find two plural forms. The first is “forums”–followed by “fora.” The first form is usually the preferred one, or at least the most common. Neither form is incorrect. However, the author’s use of both forms in the same bulleted paragraph is a little strange. Generally one strives for consistency in their use of plurals–at least in the same paragraph. If they maximize the damage, then that will “come around” and maximize the payback HI can claim for damages–not just from Gleick, but from them. Tony, you really need to read up on the definition of “Nanny State” which has nothing to do with a constitutionally limited government. Constitutionally limited government proponents such as the Heartland Institute believe government exists to provide things such as security (local/state police, FBI, military) and the court system. All you have demonstrated is you do not know the definition of terms and therefore have no business using them. Do you realize the ironic hypocritical stupidity in that statement? You drive a car? (please tell me you rid a bike) I know you’re using a device which allows internet access. How do you think it got made? WTF is so magical about the emissions you’re causing that’s different from smokers? Tell me, come fall do you attack people for burning leaves?…….. no wait, don’t answer that, likely you live in a totalitarian state where that is verboten anymore. Heartland has no qualms about the use of underhanded tactics ( or criminal trespass by others) when it works to their advantage or is aligned with their interests. While I’m not at all comfortable with Gleick’s actions, the posturing of Heartland is sickeningly sanctimonious. Lol, after all this time and you’ve not learned, yet? For the novices, skeptics are a diverse group of people. There is no club, there is no party line. There is no mantra which must be stated before being accepted. Put ten of us in a room and we’ll all have different thoughts about the room. There’s really very little we agree upon, and it shows. When the loonies aren’t saying much and having their secret forums, WUWT becomes a brawling place for real intellectual engagement! It’s fascinating! Sometimes it’s terrifying….. sometimes its beautiful. There’s really only one thing we all agree on…….. climate alarmists are FOS. So why has he not been arrested? Bizarre American legal system? Tony, all the libertarian or conservative think tanks agree that property rights are essential for a thriving economy, and that you can only protect property rights by the rule of law – this is also something they criticize in the Chinese system; the Chinese have tried to imitate essential elements of capitalism but by now, the rule of law in their country is lacking. You should some day read about it, then you would know what you’re talking about. There is a clear case against Gleick. One would think the civil proceeedings are only a matter of time. Call me cynical, but the criminal case probably won’t happen due to a rather large amount of political force opposing it. If the Heartland Institue presses civil charges and wins (which looks possible), it would place an inordinate amount of pressure on the police to lay criminal charges… whether the charges can be swept under a rug from that point would be rather interesting. They will be hardpressed to rush through the style of whitewash investigation they have used to exonerate their pets before. Expect the usual suspects to distance themselves from Gleick. The Warmistas have no honor and will run with the lie as long as it works or until they are sued and lose. The only way you can stop the abuse is in court. Everything you need to know about secondhand smoke and what the EPA knows about it. It’s pretty much the same as what they “know” about “global warming”, oh, sorry, “climate change”, er, “extreme waether” (insirt weekly new name here). Greenies making the claim should back it up with facts in court and then whoop and holler when they win…or maybe they know they won’t? Lazy Teenager, like so many other teenagers, does not do “background study,'” they take at face value anything they read or are told and get religion; they beieve their interpretation is the only right one. They stay lazy teenagers until they are into their 30s! I agree with an earlier poster. Some of this is written in 1st person from perspective of Heartland. So Anthony is probably not the author. Need to add the actual author’s name or clarify this. Else it looks like WUWT had teams of scientists working for Heartland. god, what an unholy waste this political pro-wrestling game is. it bodes very ill for the future of our civilization that so many organs exist which subsist exclusively on the values produced by real people and produce nothing of value themselves. you want a gig sitting at a desk collecting donations and pretending to be significant like all the other hoaxers such as wwf. heartland scammers are no better, they just have a line of patter that appeals to a previously unmined source of donations. wow, what a brilliant innovation – create an industry to protest the protest industry. call it an industry, too, so as to debase the meaning of industry per se. you all do nothing that produces values. you are all a negative sum game. you are all beggars and jabberers. credibility? heartland is all talk, nothing but talk. let me see you take gleick to court with all the donations you spend on your house payments, car, food – in lieu of doing productive labor that leaves the world with more than when you entered it. otherwise you have nothing to offer. nobody has a need that you can fill with more begging. you are worthless to anybody for anything. you’re just scamming us into paying your bills so you don’t have to work like a man. Strange as it may seem, I got here through smoking bans. The many nefarious tactics involved there have been used here too. Studies with adjusted confidence intervals, relative risks overstated beyond their statistical significance. Abused statistics is all this is. Phil Jones claims to be a scientist. He’s doing statistics, what are his qualifications in statistics? Ditto most of the Climate Psientogists! Important for everyone (especially Tony Mach) to remember that Heartland can’t bring criminal charges against Gleick – only the government can do that. Heartland can approach the government prosecutors with evidence, and request that Gleick be charged, but it’s the government’s decision. Also remember that the prosecutors are beholden to the executive – federal prosecutors to the president, state prosecutors to the governor; the disposition of the executive towards a case can make the difference between prosecution and non-prosecution. The ideal situation for Heartland would be for the government to file criminal charges against Gleick, even if he isn’t convicted. That way the government will perform and finance a lot of the discovery (of evidence). Any evidence from the criminal trial can be re-used in the civil trial. Even if Gleick doesn’t have much in the way of assets, it might still be worthwhile for Heartland to file suit against him. Sometimes it’s not about the monetary damages, or recovering your legal expenses. If Heartland prevails Gleick will be discredited, possibly penniless. Nobody would hire him; he’d become (figuratively) radioactive. The threat of a ruinous lawsuit against Gleick could also provide leverage to get Greenpeace, etc, to disown the fraudulent docs. Will be interesting to see whether they throw Gleick under the bus. [SNIP: Not really appropriate or fair. -REP]- and you know it all. “Tony Mach”, you do not understand the purpose of government – to protect individuals against initiation of force. That is the job of police and courts, as well as defense for external threats.